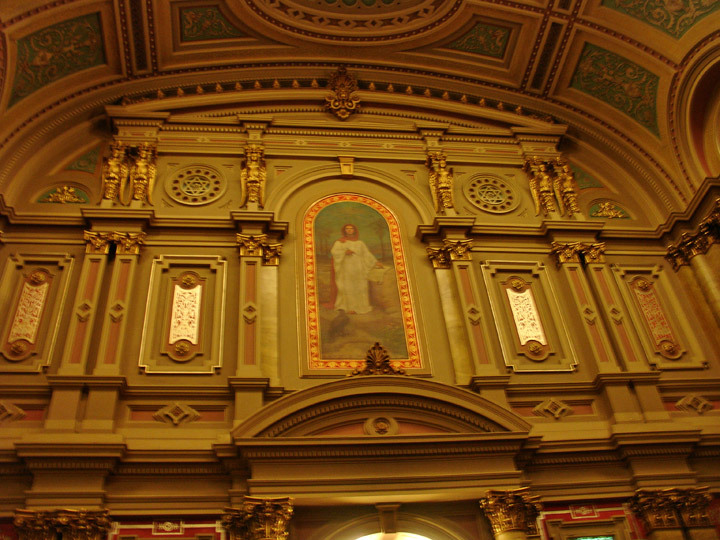 When you entered the Temple, you came through the Grand Entrance Gate, from North Broad Street. 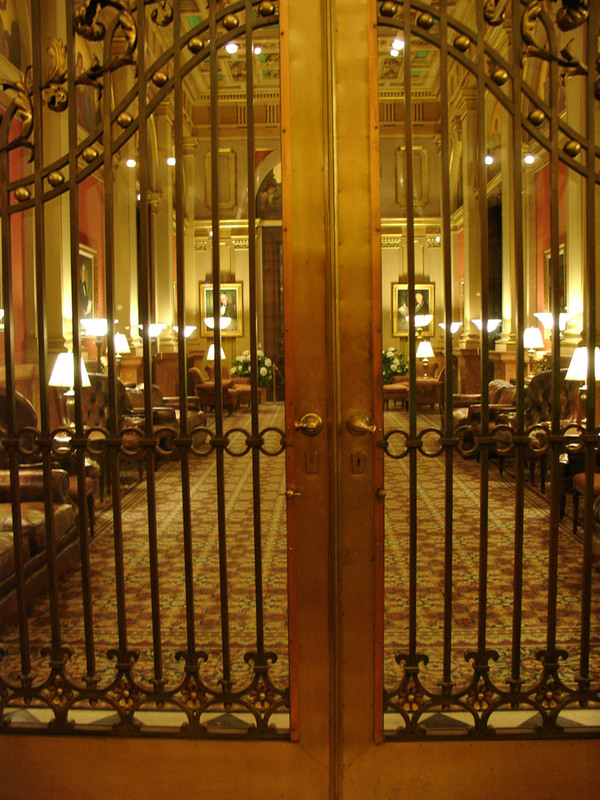 The architectural style of the Grand Entrance Gate is Norman. 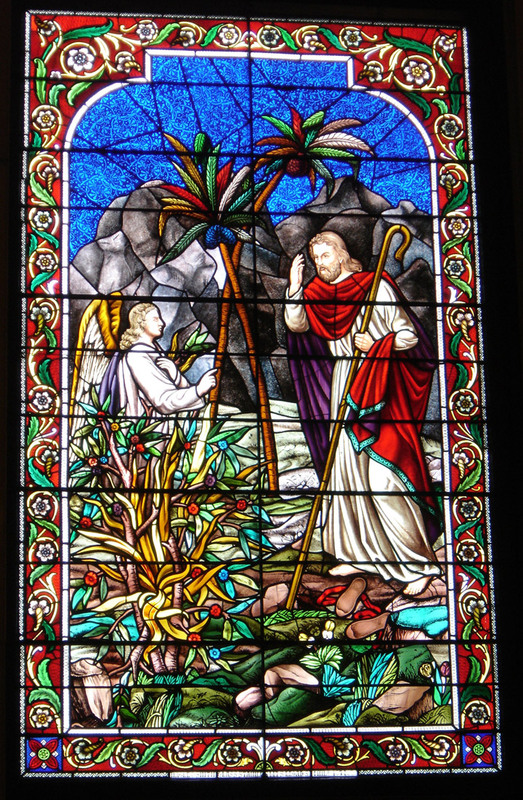 The doors are each seventeen feet high, seven feet wide and six inches thick. 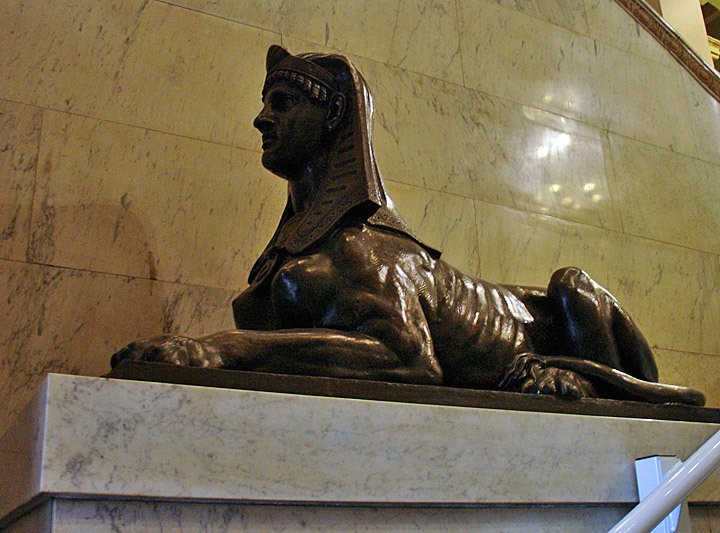 Along the inner steps of the Temple are two large bronze sphinxes. I don't know if they have names, but they are very impressive. 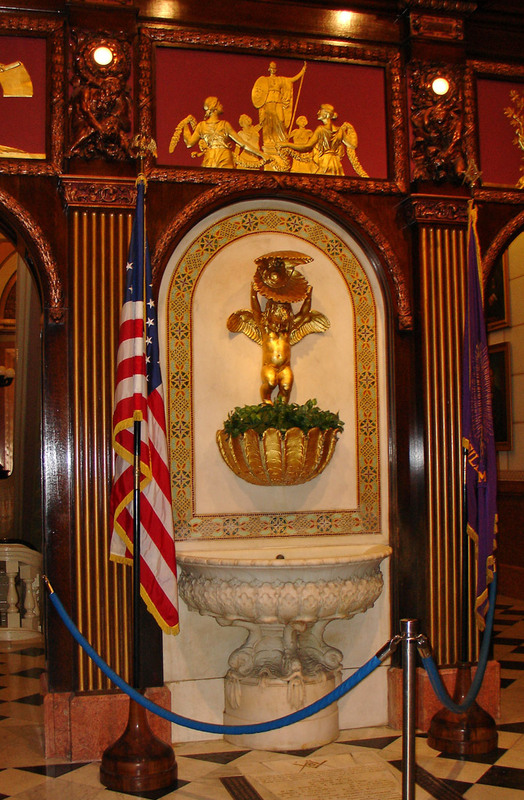 Once you get past the sphinxes, you enter the Grand Foyer. 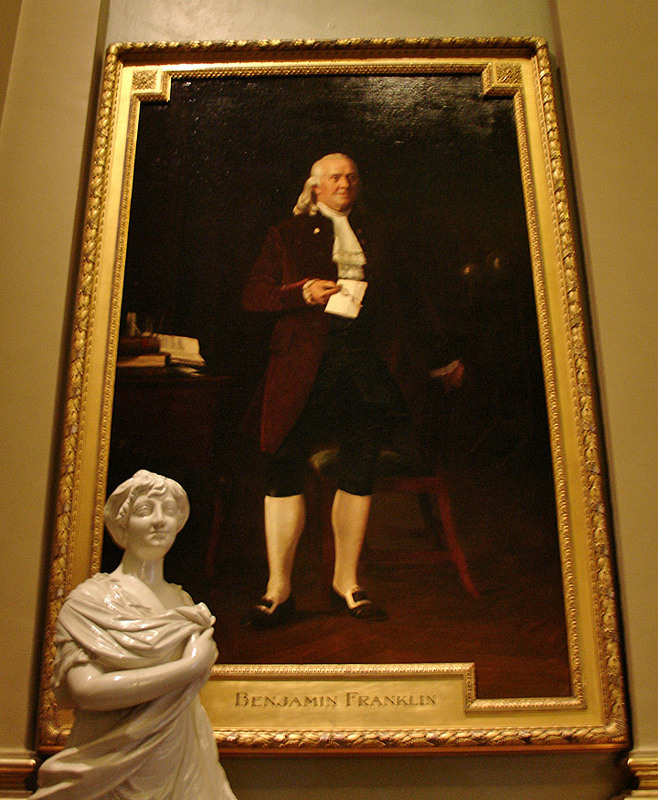 It runs the full length of the building from the entrance gate to the huge bronze doors of the Benjamin Franklin Room. 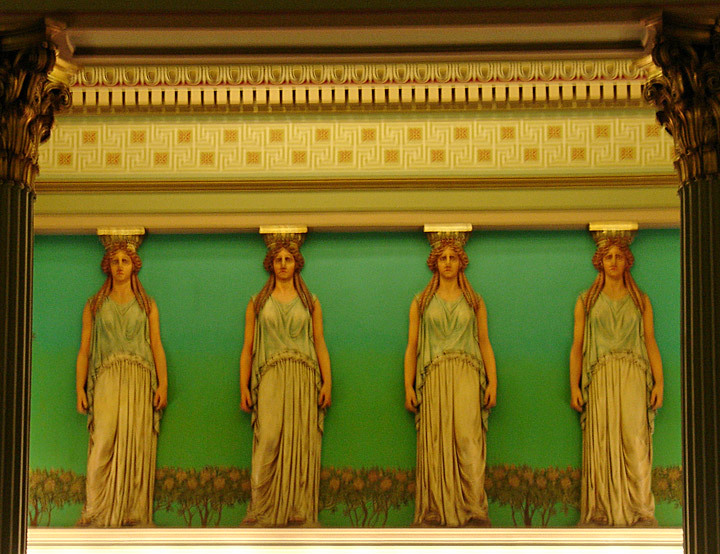 It is decorated with Doric columns, the oldest, strongest and simplest of the Orders of Grecian architecture. 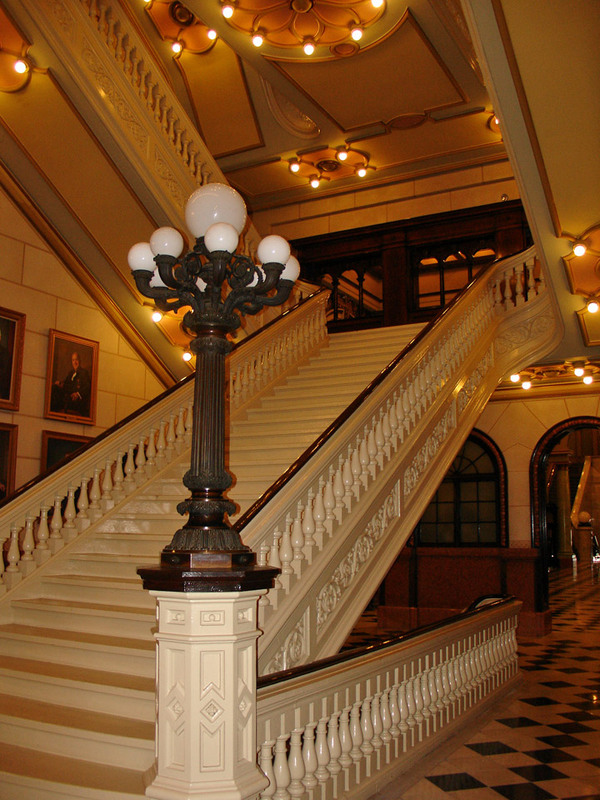 The Grand Staircase leads to the second floor at the north end of the building. 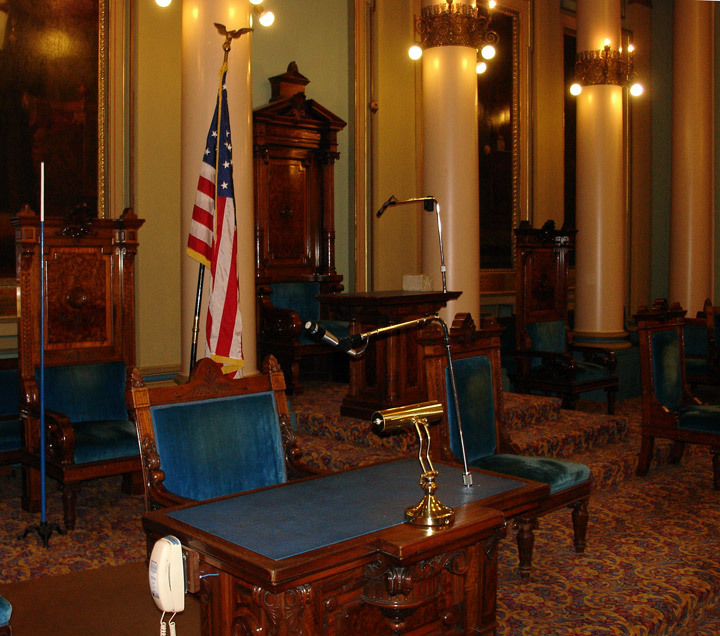 It also leads to Corinthian Hall, the meeting room of the Grand Lodge of Pennsylvania. 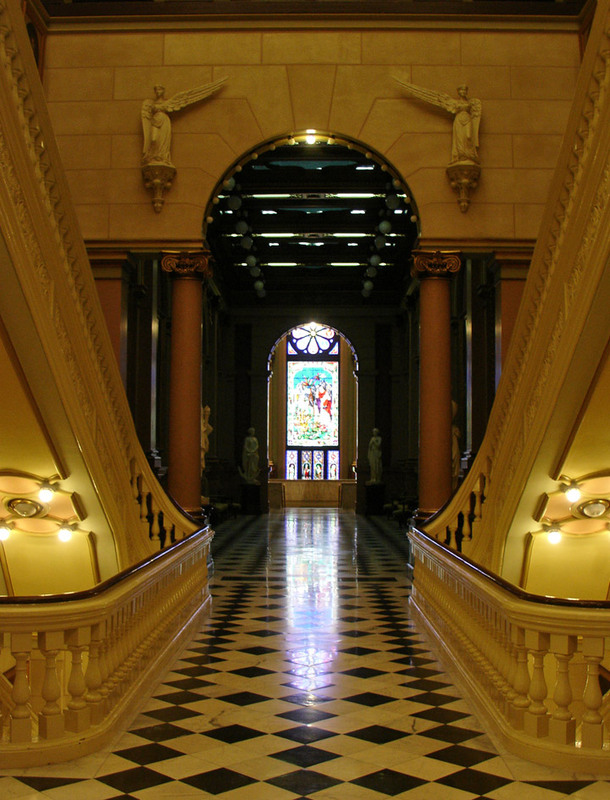 The stairway is made of Tennessee marble. Look up under the staircase. 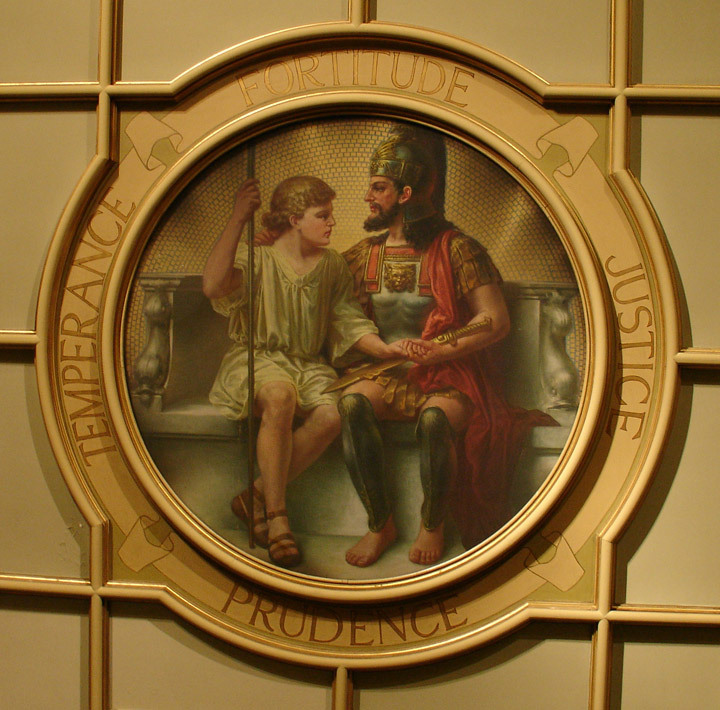 Here you see the Seal of the Grand Lodge, the Great Seal of Pennsylvania and representation of the four cardinal virtues -- Temperance, Fortitude, Prudence, and Justice. 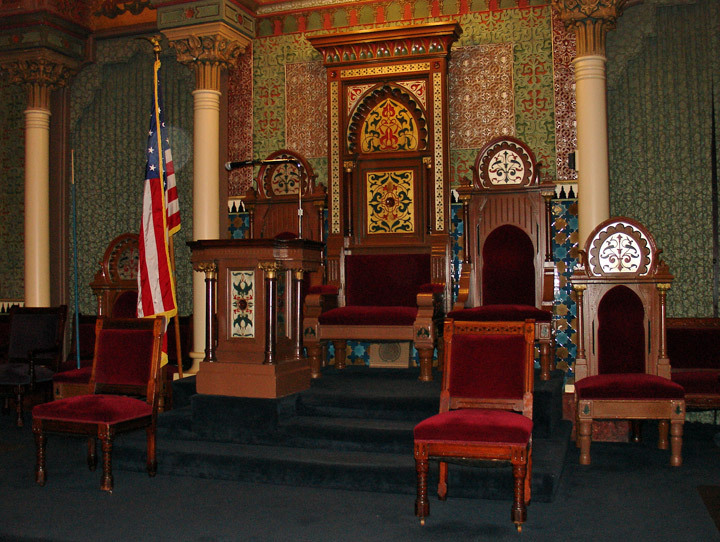 Masons love to eat, so the Grand Banquet Hall is one of the most-used rooms in the Masonic Temple. 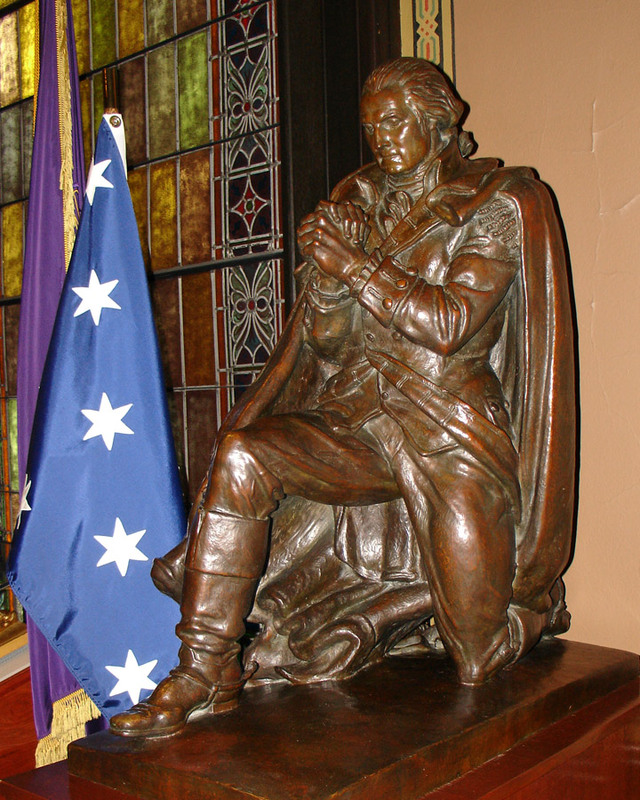 The room can seat up to five hundred people. 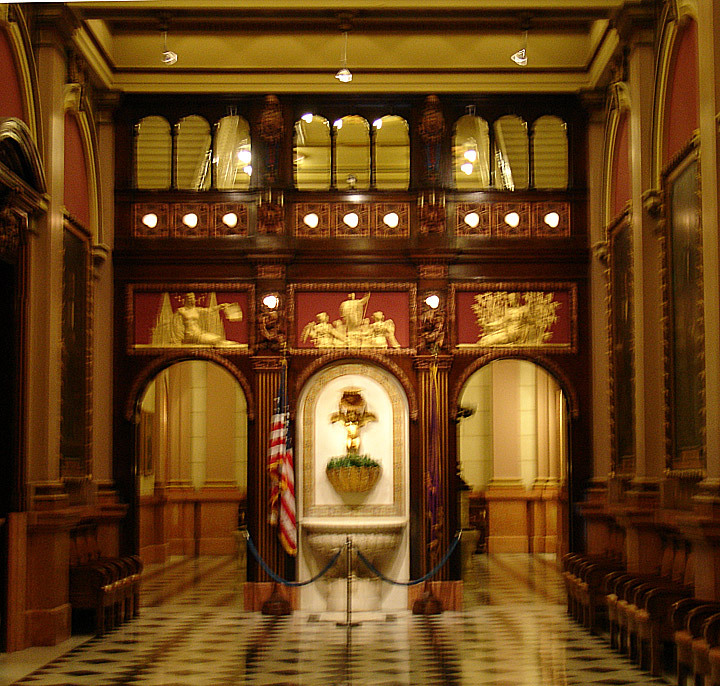 The hall features the Composite style of architecture. 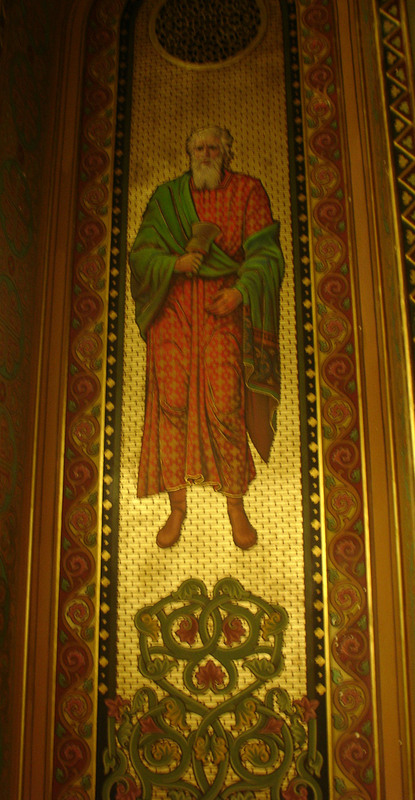 Portraits decorate the walls, while the floor is laid in small tile patterns. 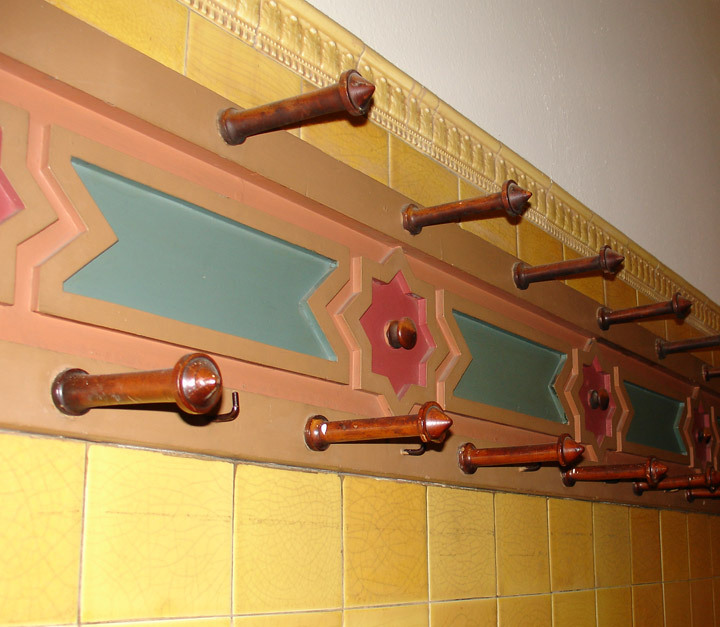 Oriental Hall was decorated in 1896, in the Moorish, or Saracenic, style. 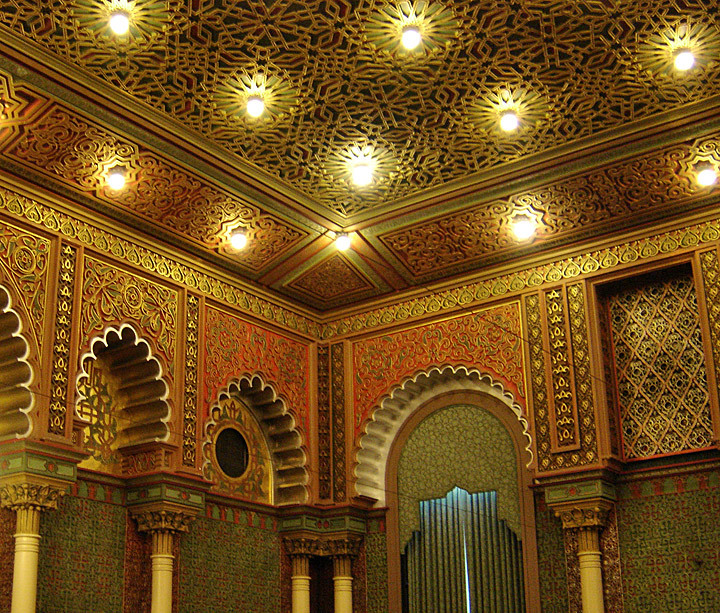 The colors and decorations were copied from the Alhambra in Granada, Spain, a 13th Century castle. 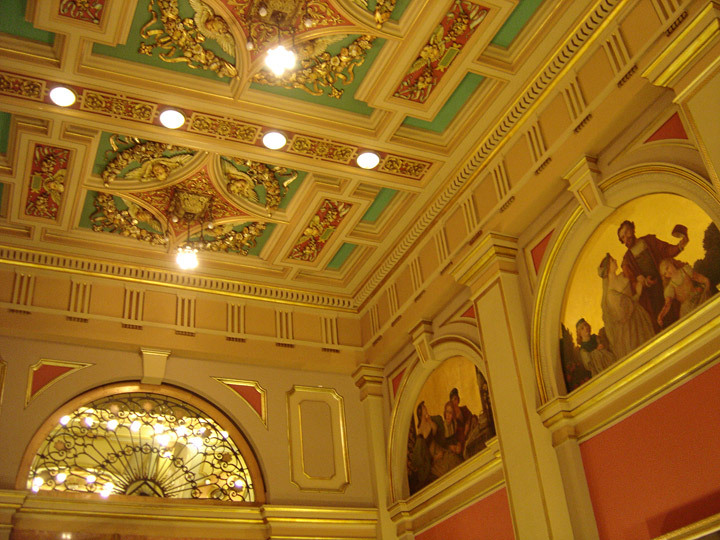 The ceiling is divided into seven thousand panels of various shapes, copied from the Hall of the Ambassadors. 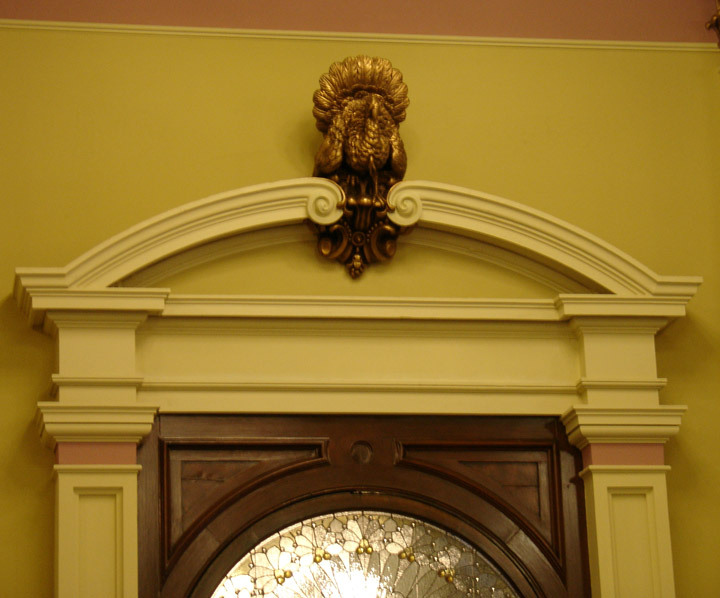 The border surrounding the ceiling, is a pattern of the lotus flower copied from the Salon of the Tribunals. 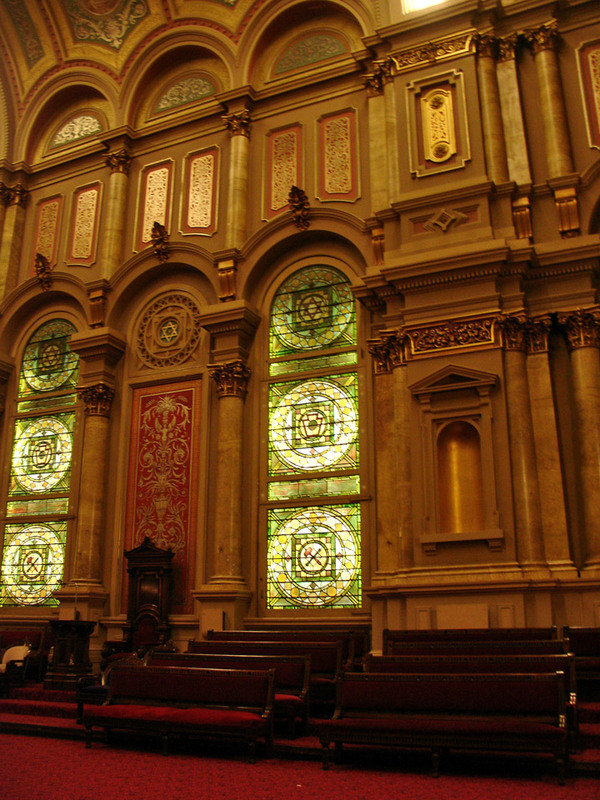 Ionic Hall, decorated in 1890, takes its name from the style of architecture from Ionia, where King Ion reigned in Asia Minor. 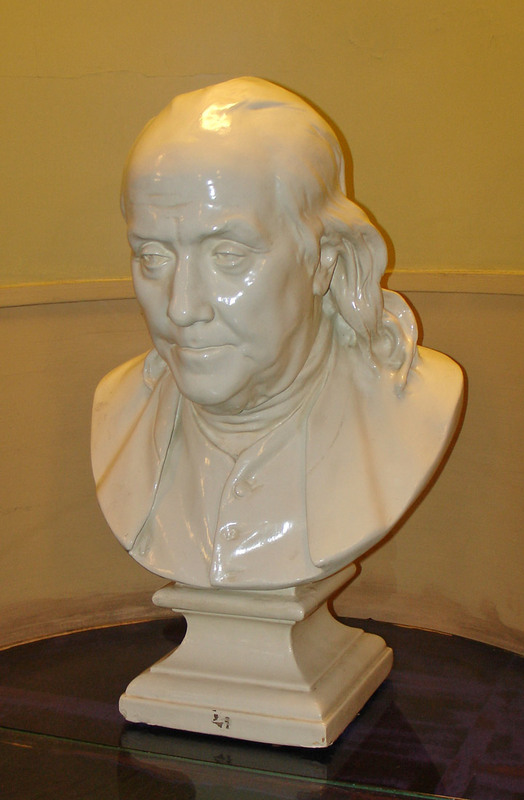 Ionians were mostly Greek emigrants. 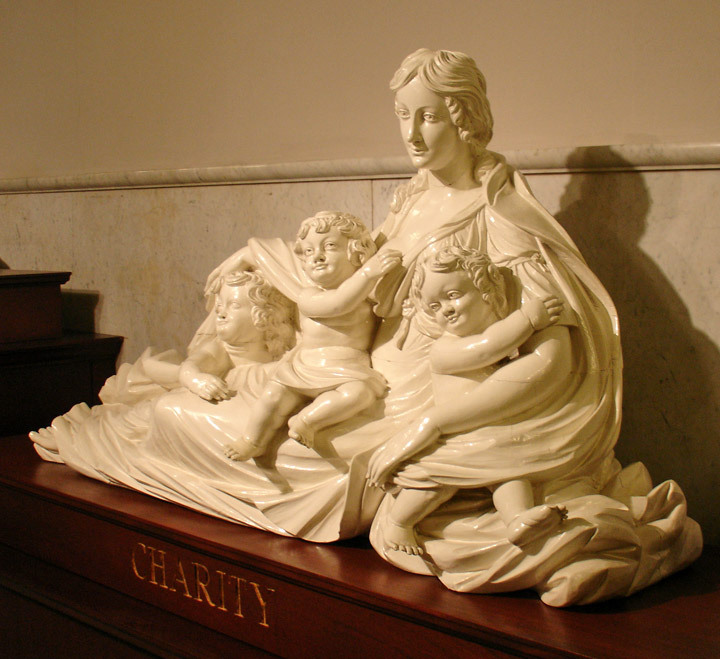 Refinement and elegance are characteristic of Ionic style. 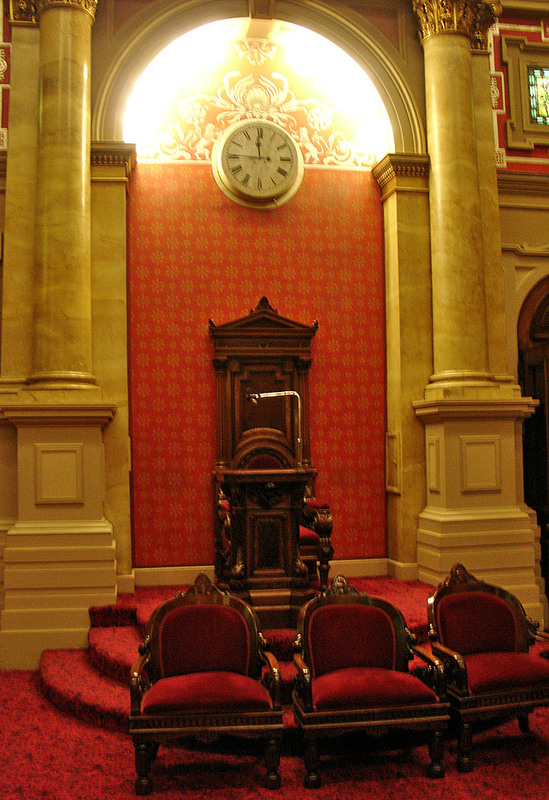 West Wall Clock "The ceiling of Ionic Hall represents heaven. 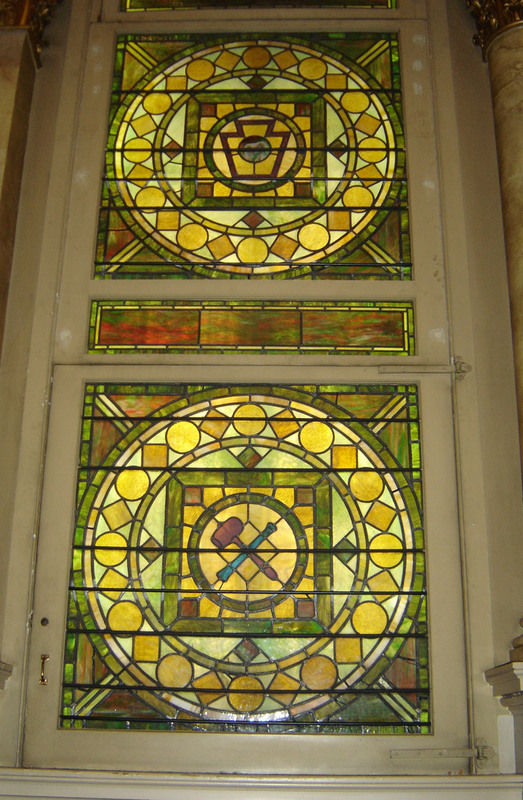 In the center shines the noon-day sun, surrounded by signs of the planets and stars. 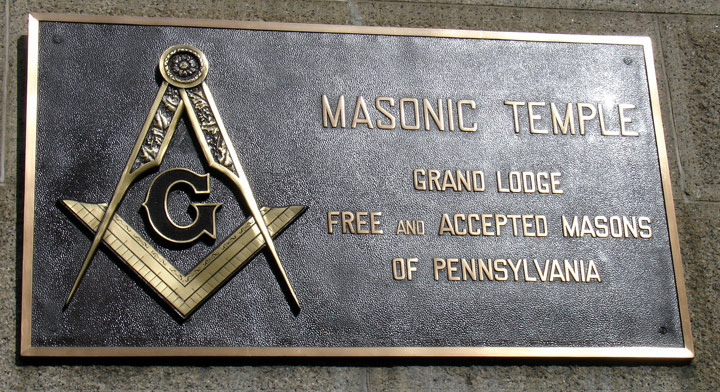 The signs of the zodiac were often used decoratively by the operative masons of the Middle Ages in Europe. 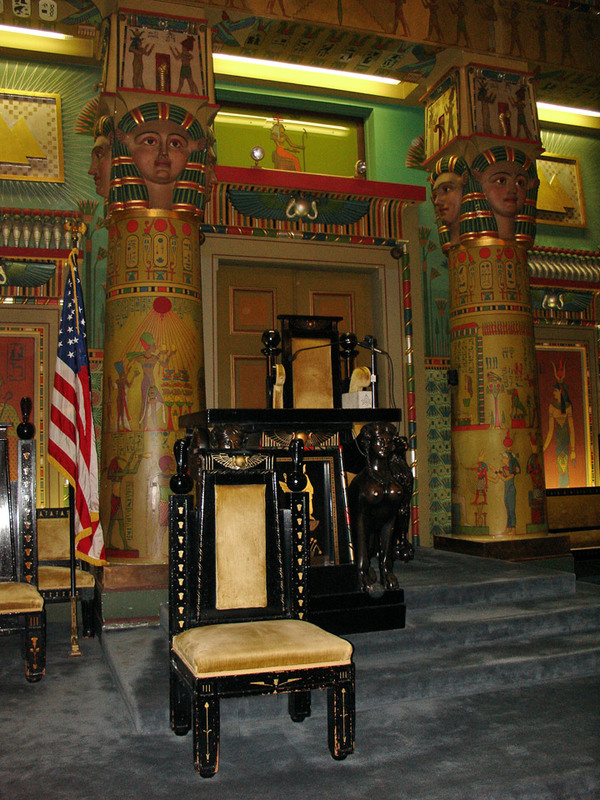 Egyptian Hall was finished in 1889. 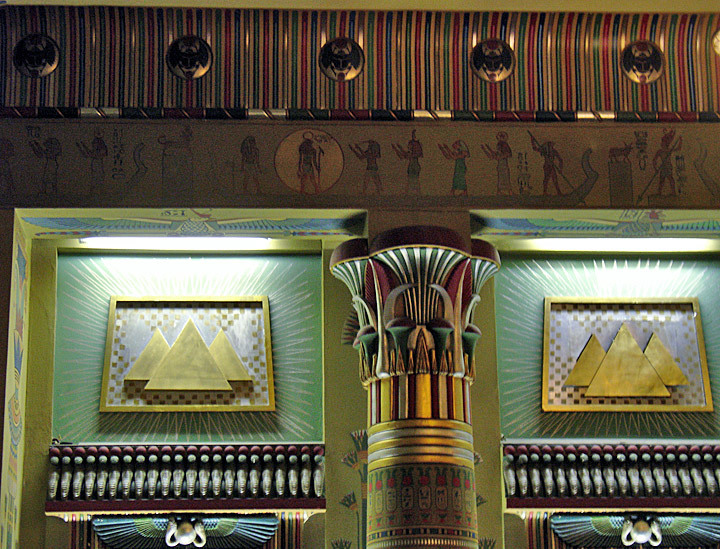 It is decorated in the style of the Nile Valley. Twelve huge columns stand on the four sides of the room, surmounted by capitals peculiar to the Temples of Luxor, Karnak, Philae and others. 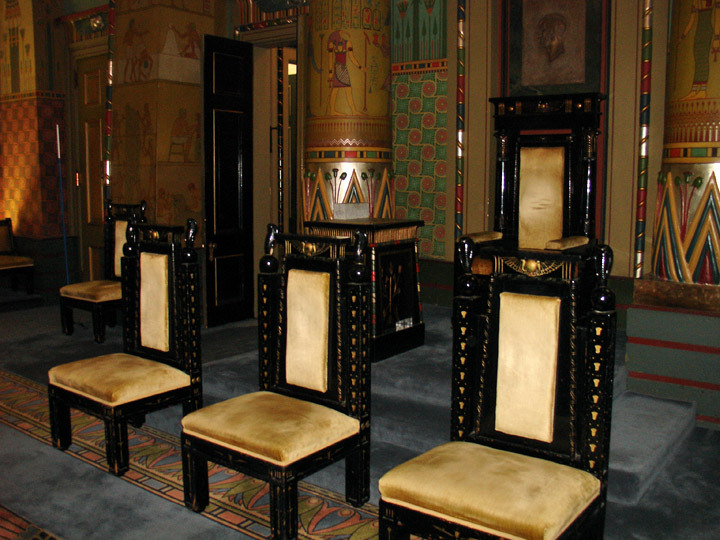 The furniture also is in Egyptian style. 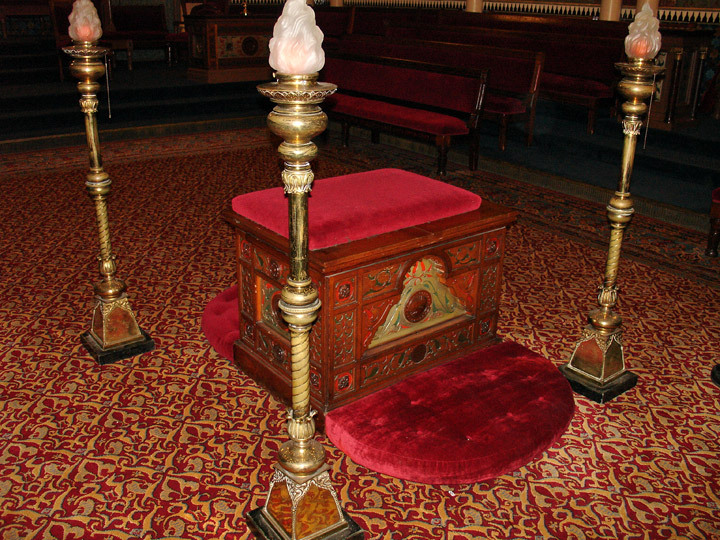 The Worshipful Master's throne is gilded ebony; the pedestal is flanked by sphinxes. The ceiling is blue, indicative of the heavens. 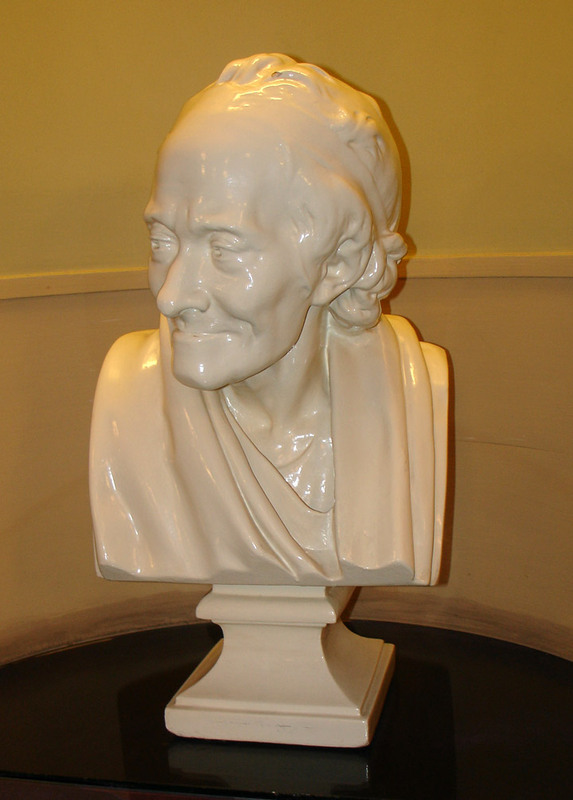 A solar disk is placed in the East. 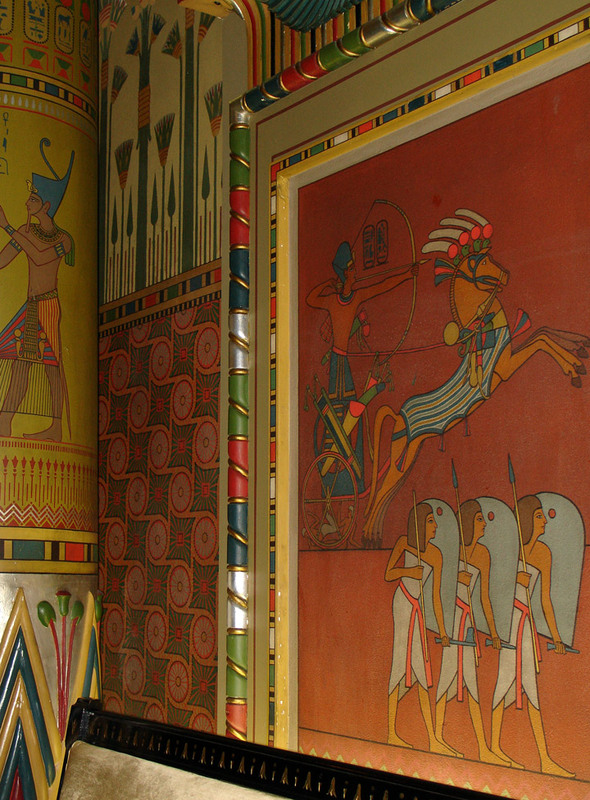 Representations of the major Egyptian gods are painted on the panels in the east. 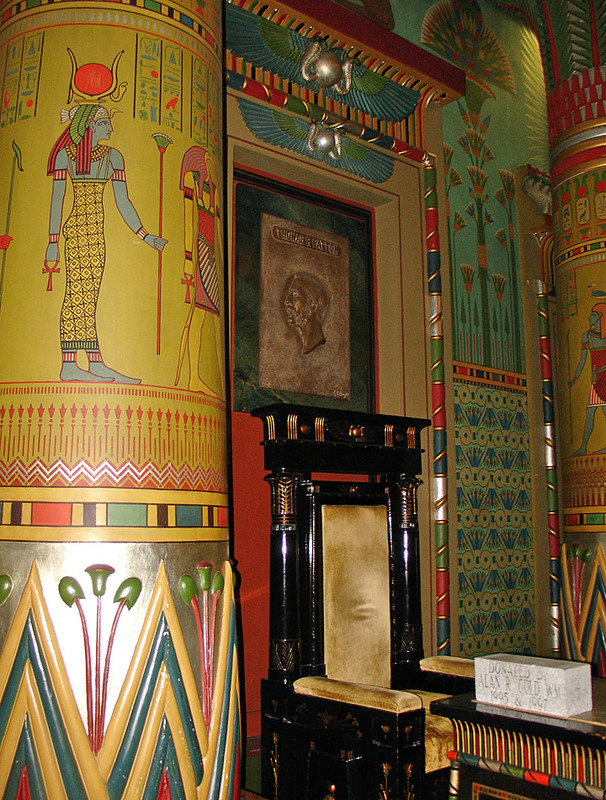 All the hieroglyphics are accurate copies from Egypt, and the room is used by students of the style. The woman's face on the capitals is that of "Hathor, goddess of wisdom and love. In Egyptian mythology she was sometimes represented as a cow, which is why she has a face of a woman but the ears of a cow. 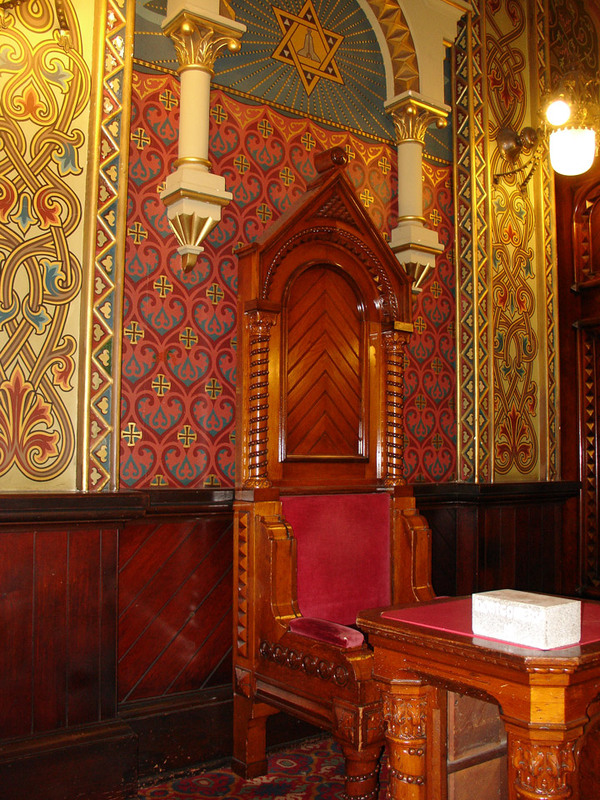 In the panel above the Senior Warden's chair is a bronze relief of Brother Thomas R. Patton, former Right Worshipful Grand Treasurer. 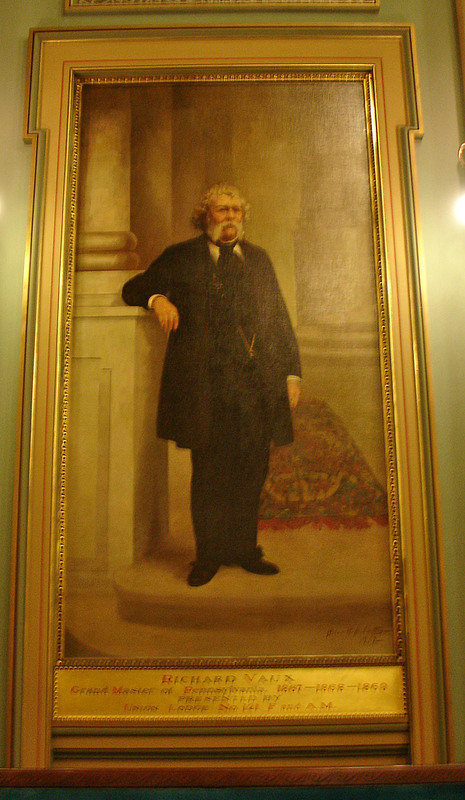 He was instrumental in having Egyptian Hall completed in such detail. 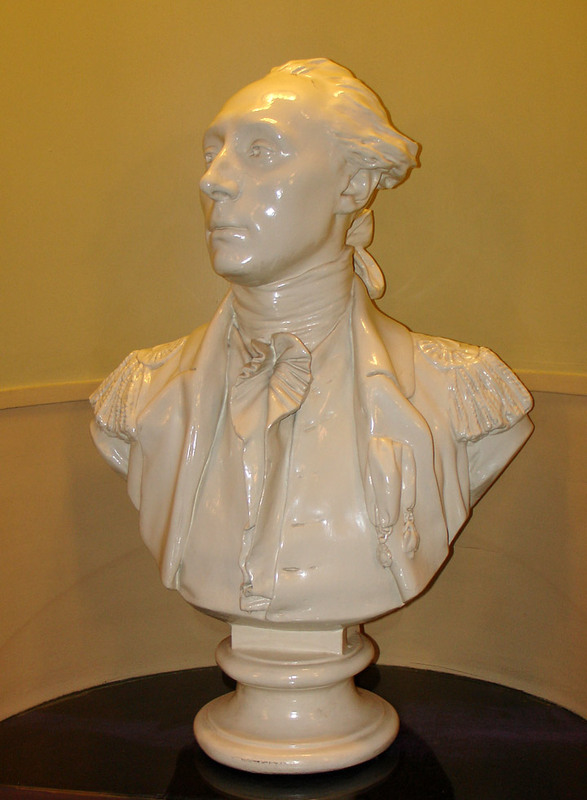 He was also the benefactor of the Thomas Ranken Patton Masonic Institution for Boys, now the home of the Pennsylvania Masonic Youth Foundation. 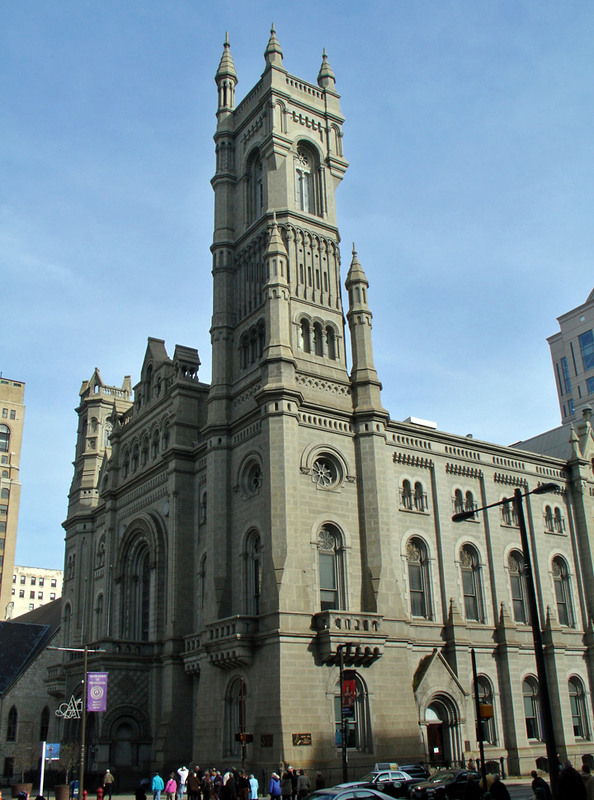 The style of Norman Hall, finished in 1891, is Rhenish Romanesque. The term 'Norman' is indiscriminately used for round-arch architecture, such as is found here. 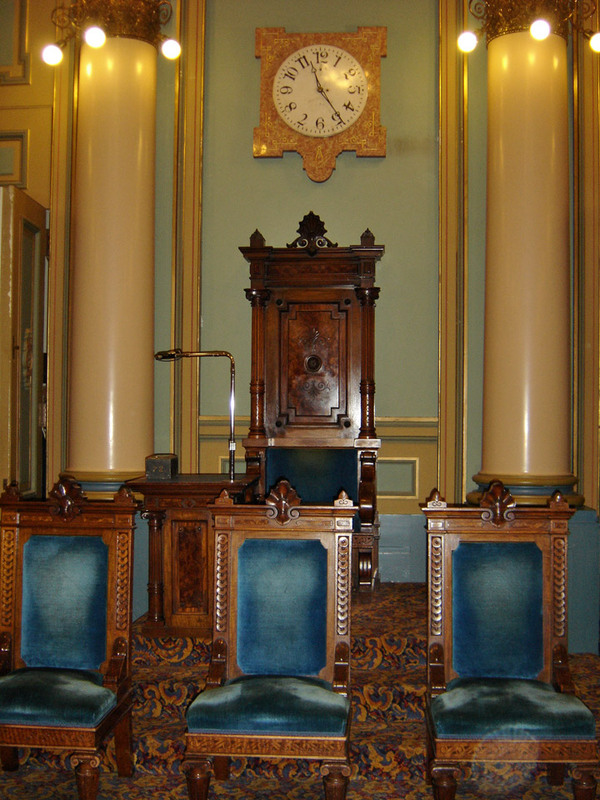 The clock on the west wall includes the letters spelling out clockwise BAYSE and counterclockwise NEWCOMB. 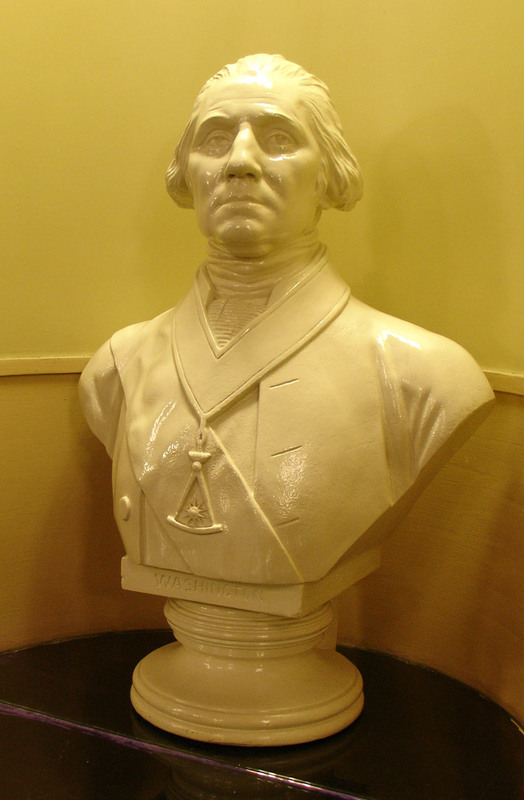 Brother Bayse Newcomb was Grand Master in 1821. 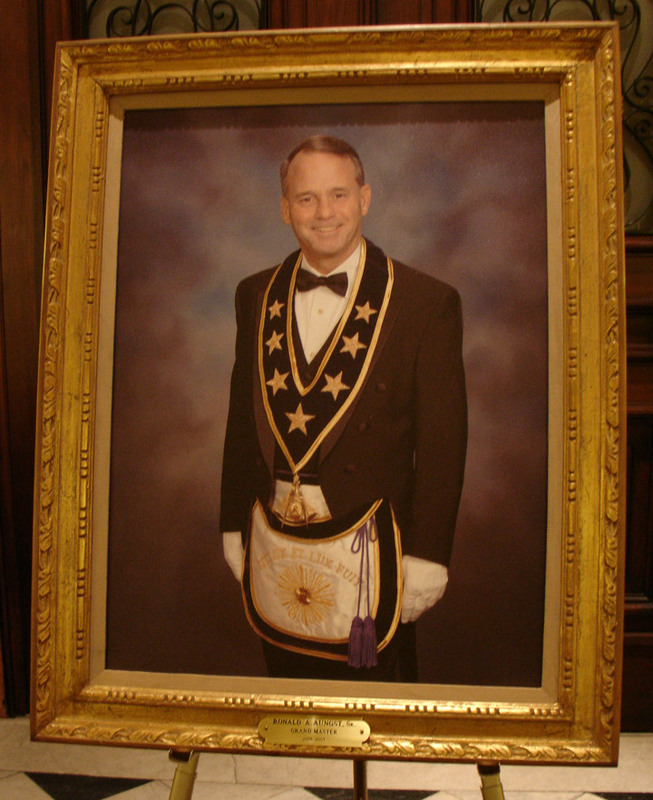 Brother Newcomb is one of the few Grand Master's for whom there is no portrait in the Building. 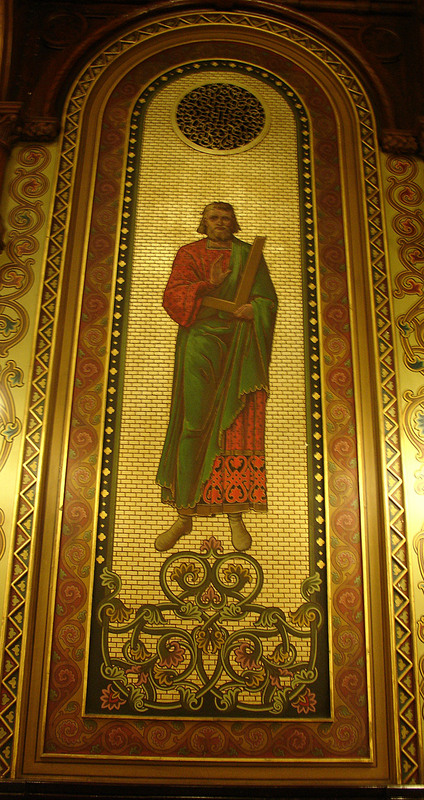 The panels between the piers, not occupied by windows, have life-sized figures on a gold mosaic background. 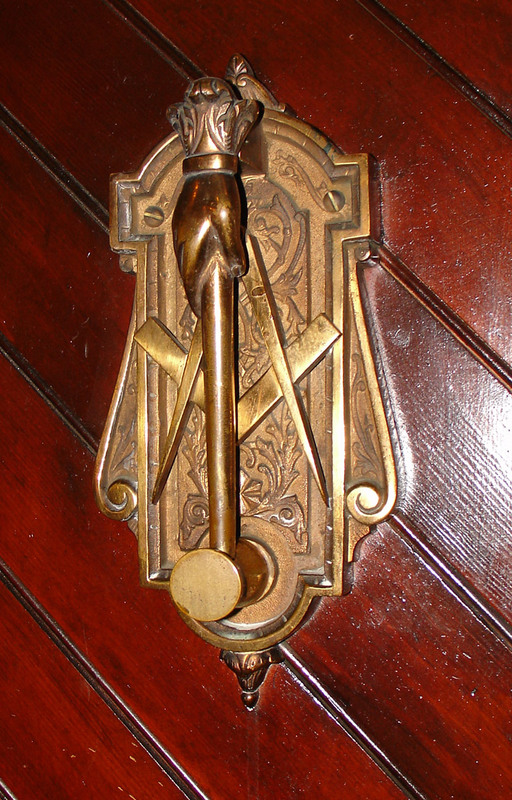 The figures are bearing the Working Tools of Freemasonry: Plumb, Trowel, Square, Mallet and Compasses. 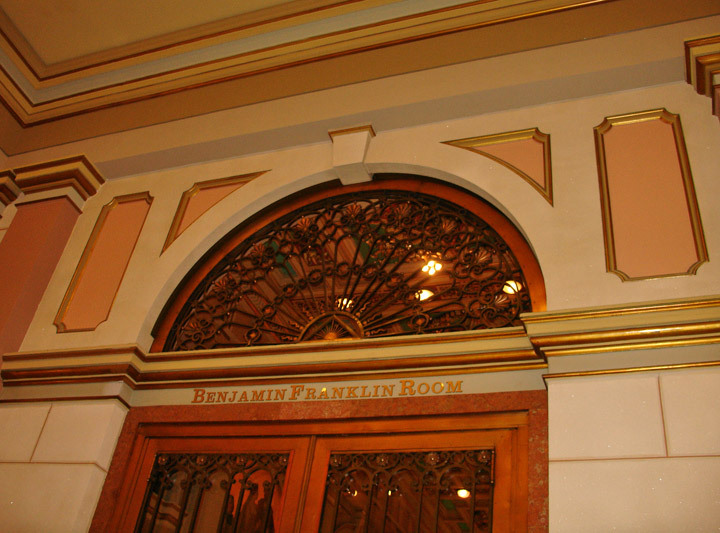 The ceiling panels are a deep blue with the outside tinted chocolate brown. 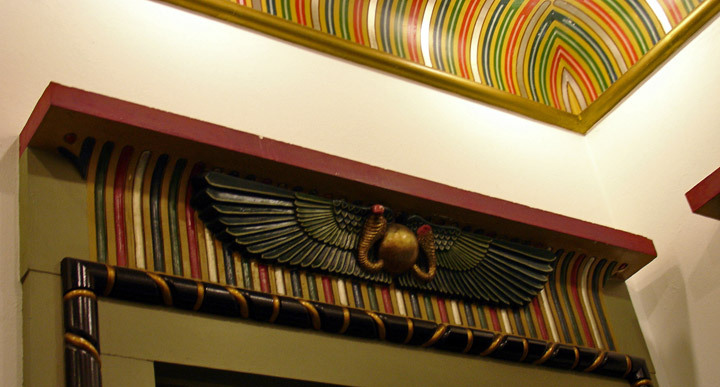 Decorations are alternating patterns found in ancient Irish or Scandinavian manuscripts. 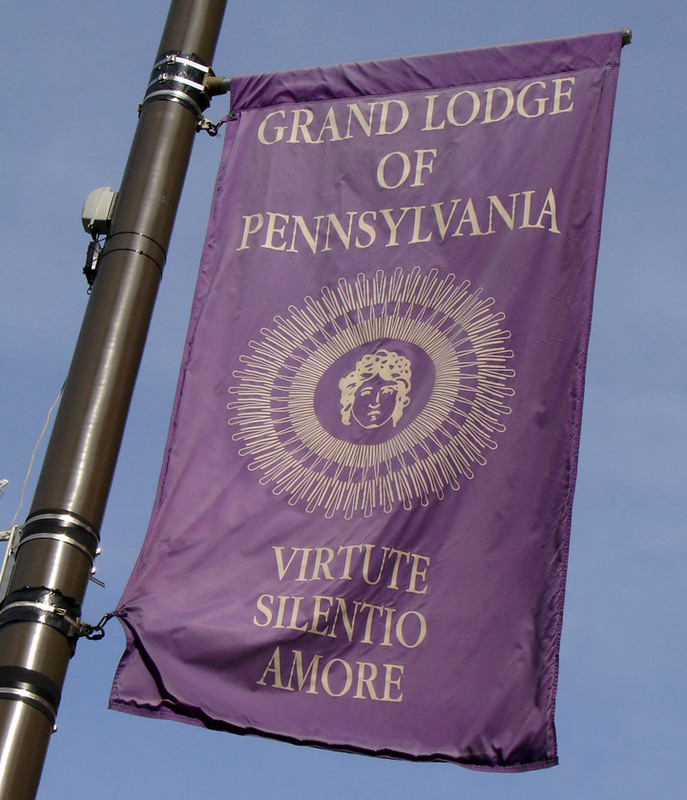 Renaissance Hall, on the south side of the second floor, is where the Grand Holy Royal Arch Chapter of Pennsylvania and some subordinate Chapters meet. 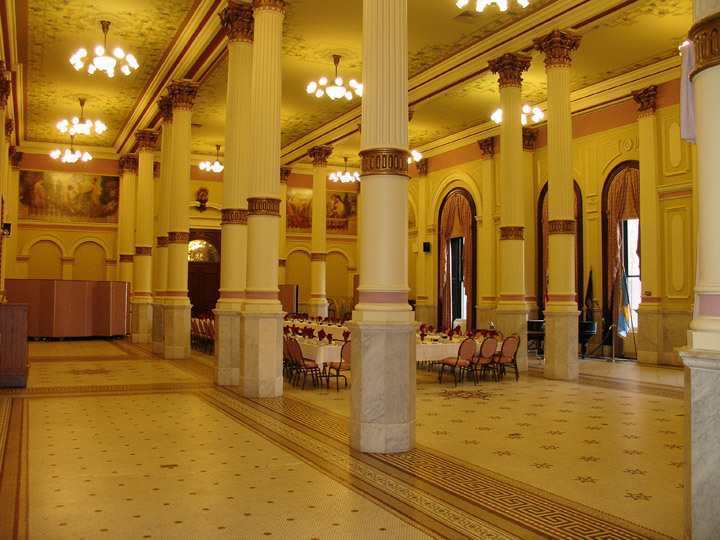 The Hall is decorated in the Italian Renaissance style, and was finished in 1908. 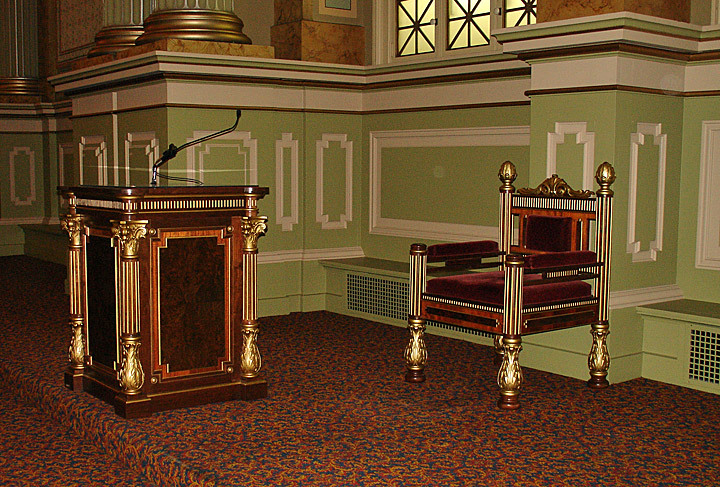 The meeting place of the Grand Lodge of Pennsylvania is the Corinthian Hall. 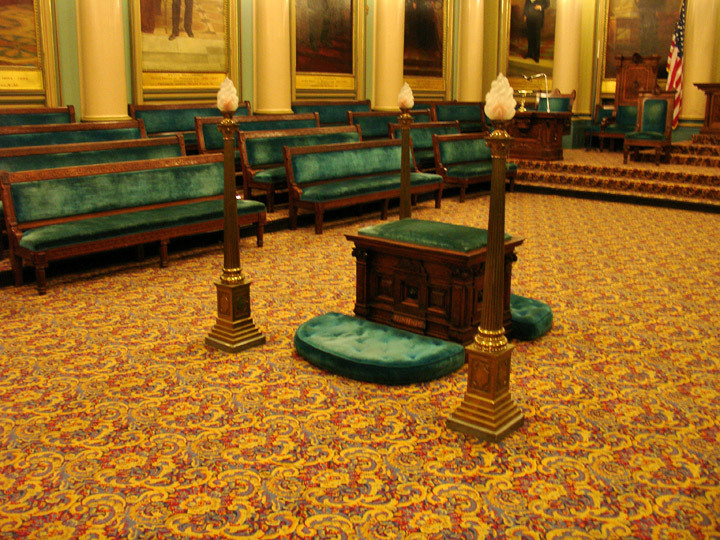 The features of this room were finished in 1903. 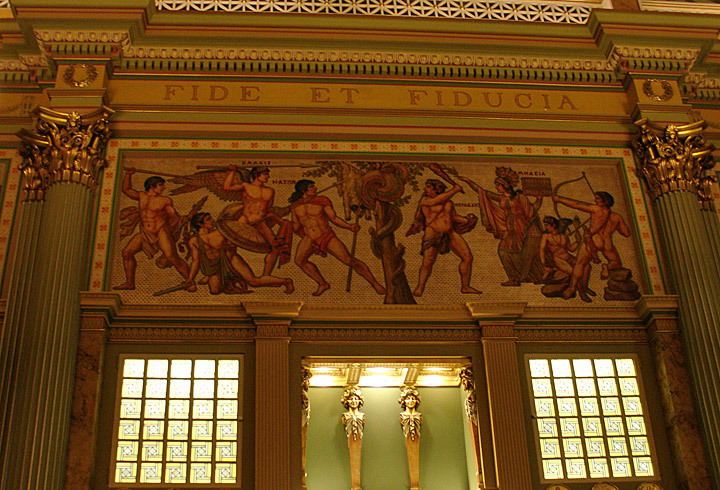 It is decorated in strict conformity with the principles of Grecian classical architecture. 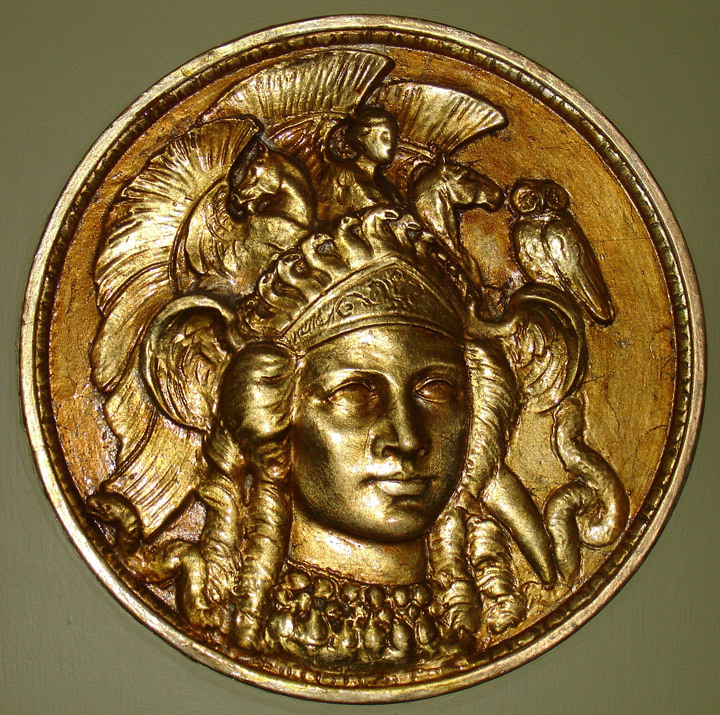 Various subjects for the bas-relief medallions over the entrance hall and on the pilasters on the north and south walls were taken from ancient Greek coins and medallions. 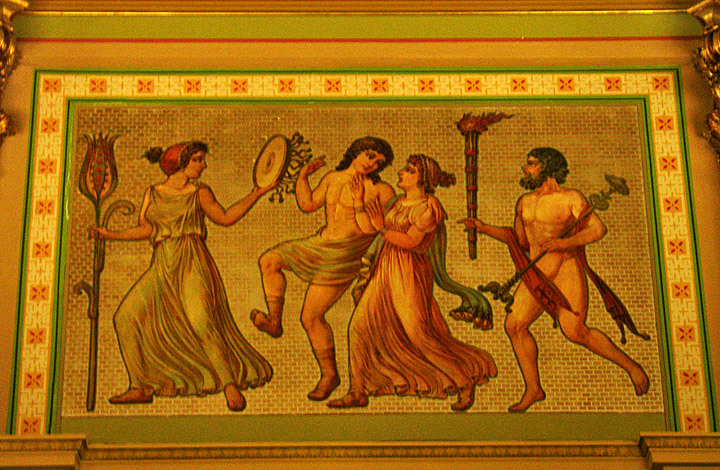 The room is decorated wih mosaics representing fragments from Greek mythology relating mostly to spiritual life. 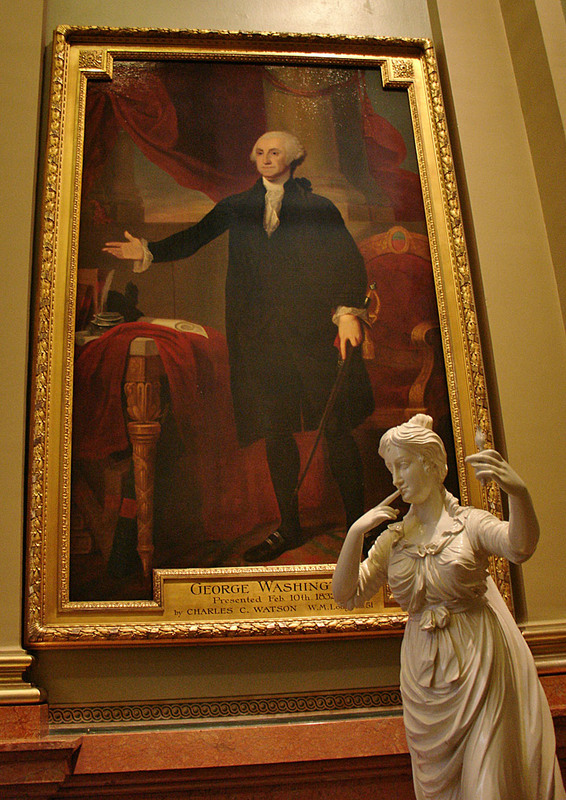 The stars and subdued lighting gives an atmosphere of an open hall in an ancient Greek temple.